There was a time when vanilla Android sounded like a dream for end users. Nexus phones were only available in selected markets. Google Play Edition (GPE) initiative did not meet the expectation and failed miserably. 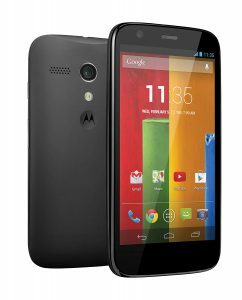 While Google backed Motorola did bring close to AOSP operating system for the masses with their G series, software updates were another issue. OEMs often delayed or skipped updates and users were stuck with insecure and buggy OEM skinned OS. CyanogenMod became the de-facto choice for Android enthusiasts to end all these troubles. 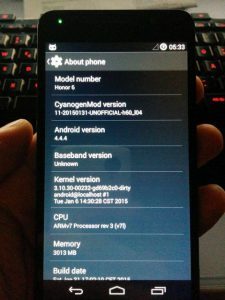 An unlocked bootloader (or even a locked one with smart tricks! ), a compatible custom recovery like TWRP and CyanogenMod ROM zip for your device – that’s all you need get rid of your factory installed operating system. Readers may remember about the controversy that marked the end of CyanogenMod. It was not really the end, rather a hiccup. Community development was the winner against corporate shenanigans, and we had LineageOS (LOS) as the successor of CM. Later on, LineageOS introduced a strict device support requirement charter to maintain the quality of development. Currently there are 82 supported devices running LineageOS 15.1 based on Android 8.1 Oreo as well as 78 running Android 7.1 Nougat based LOS 14.1. In their “regularly irregular” changelog #21, LOS team announced that they slowed down development on 15.1 and 14.1 branches to bring up the next iteration of Android. Android Pie based LineageOS 16.0 unofficial builds started to popup in XDA (example: here, here) after Google released the source code. 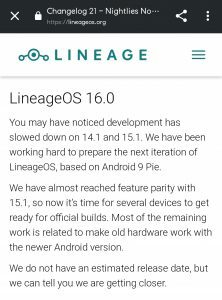 Now looking at the LineageOS Gerrit (the place for community based code review), we have found more evidences on the release of LineageOS 16.0. The specific commit is marked as ‘hudson: Initial 16.0 device list’. In case you are unaware, ‘hudson’ is the codename of the build server of LOS. A large number of devices can be seen as supported under LineageOS 16.0. Popular ‘hackable’ flagships like every OnePlus Phone (except OnePlus 6T) and Google Pixels are listed while fan favorite Poco F1 is not behind. Remember that no official date of release is announced so far. Some of these devices may be dropped for last minute bugs and/or couple of new ones may be introduced. The frequency and amount of merged codes under LineageOS 16.0 branch are clear indications of the forthcoming release of Android Pie based LOS. Readers can follow LineageOS and associated activities via their official blog, subreddit, Twitter and Facebook accounts. They also accept donations via PayPal.